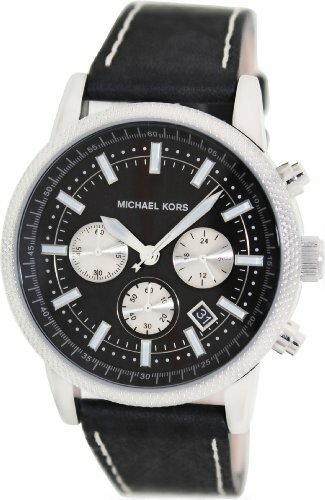 This classic Michael Kors MK8310 mens analog quartz chronograph watch features a black dial, a date display, a stainless steel case, and a black leather band. 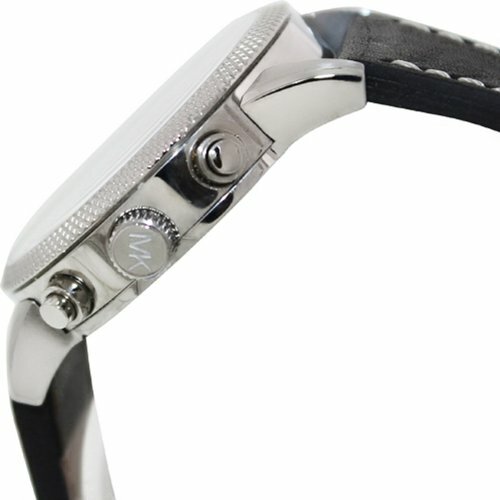 Perfect your distinguished style with this eye-catching Michael Kors™ timepiece! 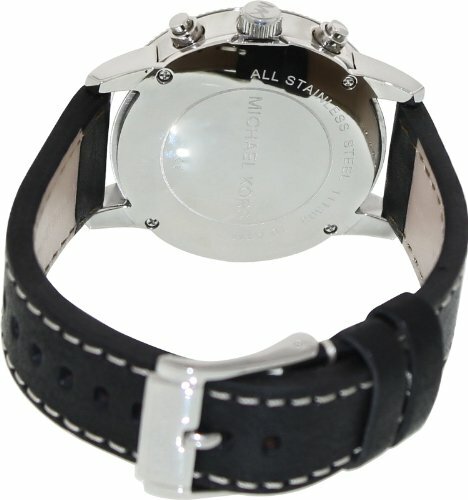 Adjustable black leather strap with contrast stitching and buckle closure.